Going from Plan A to Plan B is never comfortable. 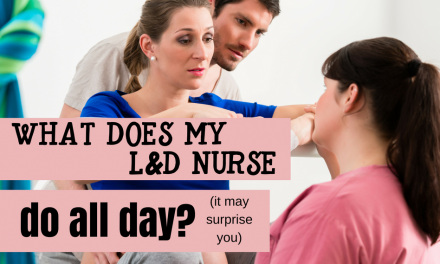 In my many years of L&D nursing, I’ve taken care of countless patients who started labor in one location and ended up at my location. There are commonalities among the patients who are transferred to my L&D unit from a homebirth or a birthing center. The main reasons for transfer are these: you have been laboring forever and you need pain interventions and possibly help advancing your labor; your midwife is concerned that you are developing an infection or your body is not going into labor on its own; there are serious complications in your labor and you are being transferred emergently (don’t worry– this is not common). Whatever the reason for the transfer, by the time you get to me, this is what I see. You are in pain. You are scared. You are defeated. You see, there are so many things that we have in common. Most importantly, we all have the same goal– healthy mom and healthy baby. I understand that, too. I’m writing this post for you, my mama under a midwife’s care. I want you to feel that no matter where you ultimately deliver your baby, you will feel empowered and your opinion valued. To begin that process, there are things you need to know about what might happen if you are transferred to a hospital, so you can be mentally prepared for it. But first, I have some suggestions for you. Throw some salt over your shoulder, knock on wood, rub a Buddha’s belly… hopefully you’ll never need this preparation. But labor is unpredictable. If you do, you’ll be glad you did. 1. 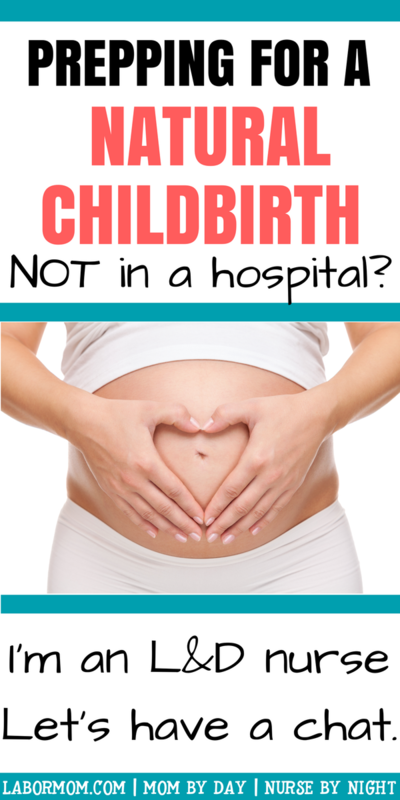 Have a serious discussion with your midwife about hospital transfers. In particular, there are things I want you to ask her. What hospital would she probably take you to? This may depend on where you live, and if the midwife has a relationship with a particular hospital. You’ll need this information for step two. Also find out from her what parameters she has for when to transfer a patient to the hospital. Some midwives I collaborate with have very strict safety guidelines for when they will transfer a mama. Others bring us what I can only nicely describe as hot messes. Let’s put it this way. If I see you in my L&D unit, I want a chance to give you as close to your dream delivery as I can. I don’t want you to wait so long that a c/section is the only safe option by the time you get to me. Does that make sense? Some of this may be out of your control, but it helps to have the conversation ahead of time. Once you know what hospital is the most likely you would go to should you need to be transferred, call them up and schedule a tour of the maternity unit. Again, hopefully you’ll never be back! Touring it ahead of time, though, can boost your confidence and take some of the anxiety out of a possible transfer. You can see what equipment the labor rooms are stocked with. You can see where the c/sections are performed and where your family can hang out. You can see the postpartum rooms and the nursery. You can also ask questions about that hospital’s standard birth practices and what they can be flexible on. You can even find out what doctors might be delivering your baby if you show up unexpectedly. Taking this simple step can take one of the variables out of a potentially scary situation for you. 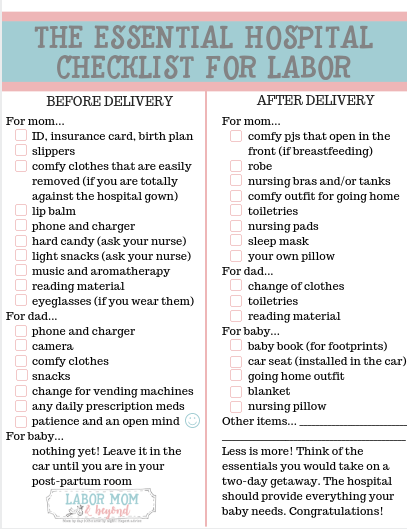 I’m sure that you’ll be going over all of your labor preferences with your midwife. It may benefit you to have a separate birth plan that addresses the most important points to bring with you in case you are transferred to a hospital. The reason for this is that many things may become irrelavant and just bog down your admission process. For me as your labor nurse to have a list of the things most important to you is a great help. Don’t know where to start? 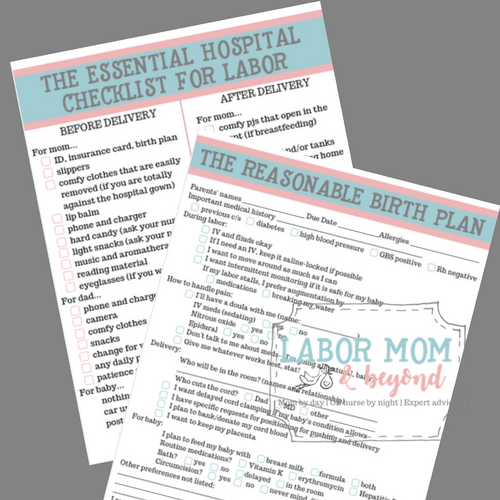 At the bottom of this post I have a free downloadable birth plan that can help you streamline things. You may also want to have a small “go bag” of some basic essentials in case you have to rush out the door. Okay, you’ve done your part! 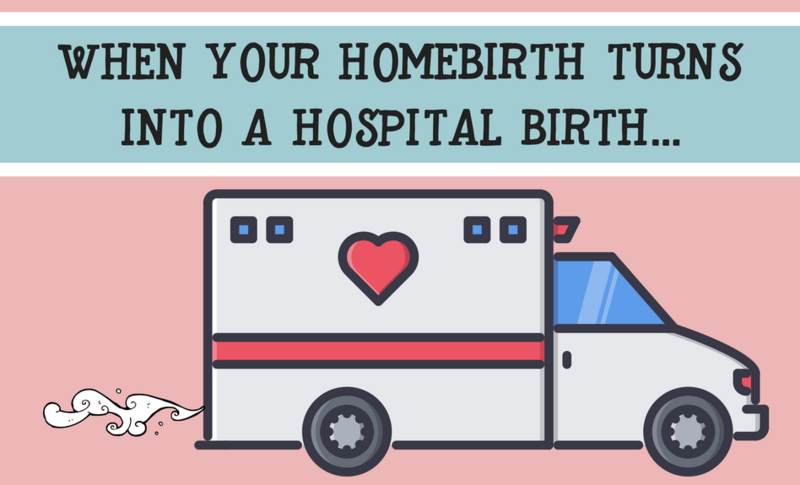 Now I want you to have a better idea of what to expect if your homebirth turns into a hospital birth. 1. You can refuse anything you want. Let’s start here because it’s a big one. It’s a hospital, not a jail, and we can’t force you to do anything. But let’s talk about it a little bit. Hopefully by the time you get to the hospital, you’ve come to grips with the fact that your birth isn’t going to be exactly as you envisioned it. In some ways, it’s time to let your body and your baby make some of the decisions. What do I mean by that? I’ve had patients come in who are refusing everything. They get an epidural, maybe, because they are exhausted from such a long period of time in labor, but they are refusing Pitocin and a c/section and any intervention at all. Yet, they have been stalled at 6 centimeters for five hours, they have a temperature, and their baby’s heartrate is elevated. What are we to do for her? Wait until her baby crumps and rush her back for an emergent c/section with a possibly compromised baby? No one wants that. For goodness’ sake, ask questions. Ask for rationales and risks vs. benefits. We love that. But know that you are in the hospital because your labor has not been without bumps. Something is preventing the normal flow of the labor curve and decisions must be made. If we’re talking risk vs. benefit, it may come down to questions like these: Which is preferable? Artificial oxytocin (Pitocin) to strengthen your contractions, or a c/section because your labor stalls out and your baby can’t tolerate it anymore? A c/section now, or possibly a baby who has to go to NICU after a vaginal delivery because of infection or complications? These aren’t questions we ask to scare you. They are questions we ask because we can see the signs of impending complications and are trying to prevent poor outcomes. So, know that we are here to support you, but we will always err on the side of your safety. Please work with me. No way, mama. You’ll never believe how many women I’ve seen rock their Pitocin-induced labor without aid of narcotics or an epidural. All of the preparations you have done will continue to see you through these contractions as well. You may also be surprised that Pitocin doesn’t produce contractions far different than the ones you have already been experiencing. There is also a world of difference if you are receiving Pitocin to induce (start) your labor as opposed to augmenting it (keeping it going). If you are in the hospital to be induced with Pitocin, you may see that the contractions are stronger, sooner, than if you had gone into labor spontaneously. If you have already been in active labor, Pitcoin will serve to get those contractions back to the strength and the frequency they were. You also may experience this differently and need some help with the pain. That’s okay, too. No one’s judging. Another benefit that you have is that you’ve probably brought your doula and/or midwife to the hospital with you. The same coping techniques they’ve been helping you with in your homebirth will continue here. I know that’s a fear because I hear it over and over from my patients. You already know that you are being transferred because there’s some sort of complication. You’ve also heard all of the horror stories about the “cascade of intervention” that takes place. Oh, mama. Let me say it again. We want the same thing you do– a healthy vaginal delivery. It’s our goal for every woman who walks through our door. Yes. If you and your baby are still tolerating labor, of course we will let you continue! Sometimes you may truly need a c/section. We’ll tell you that, and why. So, continue to ask questions and raise concerns. But leave a little room for the unknown, because sometimes our babies call the shots and it’s out of our control. This is the point that surprises most people who have been planning a homebirth. Immediate skin-to-skin? You bet! In my hospital, we strongly encourage skin-to-skin for at least the first two hours after birth, and I give the side-eye to any family member who tries to separate mom and baby before then. You’ll get your turn, dad! Mom and baby need this! Allow for movement during labor? Of course! Unless you are relegated to your bed for safety reasons like an epidural or certain medications like magnesium sulfate, get up and moving! Birthing ball, hands and knees, you can stand on your head as far as I’m concerned as long as you can promise me you won’t fall. Intermittant fetal monitoring? We’ll work with you on this, but know that your baby’s safety is our top priority and there are protocols that we have to follow. Every hospital is different in their standard procedures and protocols, so the “rules” may vary as to how often we have to monitor your baby’s heartrate. Even if you need continuous fetal monitoring, your hospital may have access to remote monitors that give you more freedom of movement, and even the ability to shower while we are monitoring your baby. In my many years of labor and delivery nursing, some of my most grateful patients have been ones who transferred to my hospital from a homebirth or a birthing center. I love this so much. Being a midwife is not my calling. Assisting at homebirths is not my calling. Respecting women– and their bodies and their decisions– and being their guide and advocate thoughout the most vulnerable time in their lives… THAT’S my calling. Sadly, I know this is not always true. I am just one labor nurse speaking from my experience in the facilities where I have worked. I know that sometimes women are confronted with judgement, and they feel bullied into decisions that they did not want to make. If this has happened to you or to someone you know, I am truly sorry. Please feel that you can talk about it. I run a series for my email subscribers called Demystifying Birth Stories where I use my knowledge as a labor nurse to possibly shed some light on the questions you have about YOUR birth story– and what might have been going on behind the scenes. 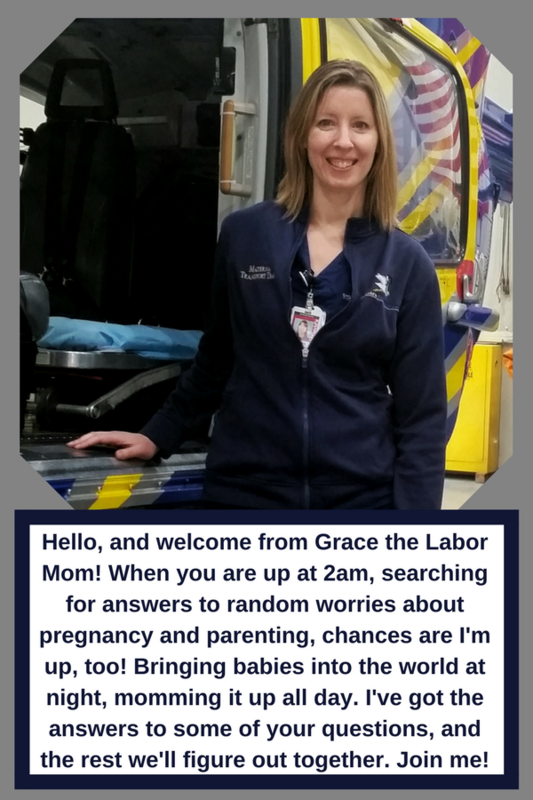 If you would like to share your story and read others’ stories, submit your email in the form below, and send your birth story and questions to grace@labormom.com. I look forward to hearing from you! Will I have to get an IV? About 99% of the time, yes. Remember that you are transferring to the hospital because your labor is no longer without complications. A few of the things that you may need an IV for include labwork, medications, and fluid hydration. You’ll also need to have IV access for procedures such as an epidural or a c/section. Will I be separated from my baby? Not if you don’t want to be! Most hospitals can accomodate your desire to room in with your baby 24/7. Labwork, medications, bath, assessments can all be done in your room. if you have a c/section, your baby may need to leave the operating room before you do. You’ll be reunited in the recovery room. if your baby needs to go to the NICU (neonatal intensive care unit) for additional care, you may not be able to go with him or her immediately, especially if your baby is transferred there right after delivery. if you elect for your son to have a circumcision while you are in the hospital. That’s about it! Just communicate with the nurses and the pediatricians and make your requests known. Can my midwife deliver my baby? Probably not. Unfortunately, that’s just the way it is, for liability reasons. In some cases, midwives can get medical privileges at a hospital and segue their care after you transfer there. In most cases, though, the actual medical care and delivery of your baby will be done by the OB and the hospital staff. Your midwife will essentially take on the roles of your coach, doula, friend, and resource. How much will a hospital delivery cost? I really have no clue. There are so many factors to consider, like your personal health insurance plan, the procedures you receive, your mode of transport to the hospital, etc. If you are making an unexpected transfer to the hospital, chances are the bill is the last thing you are thinking of. If it’s a big concern to you right now, though, I’d suggest that you call the billing department of your hospital and ask for some estimates. Most hospitals will work with you, too, with payment plans and discounts if you are having trouble paying the bills after your stay. Can I still keep my placenta? Most likely, yes– have at it. This may be state-specific, though. For instance, I currently practice in Texas. Up until a couple of years ago, when state law finally mandated that a person had a right to their own body parts, families had to get a court order to be able to take their placentas home. It was a ridiculous process. You may want to check up on your state’s position on placenta keeping. Also, if for some reason the OB determines that your placenta needs to go to the lab for testing, you will most likely not be able to take it home (it will probably have been treated with a substance like formaldehyde anyway, and who wants to injest that?). Yes. Two, in fact! No complications short or long-term. Beautiful deliveries. And my babies and I bonded like superglue. But you do you! I respect all women and will support you in whatever decisions you make about your pain management. I have L&D colleagues who have opted for an unmedicated labor. Respect. Will I have to come in an ambulance? That will totally depend on your circumstances. If I had to wager a guess, I’d say that about 95% of the midwife transfers I’ve seen have come in a private car.